Helping out kids in Watts, Calif. I went to Watts, Calif., to help out with a church ministry helping poor inner-city kids on Saturday. 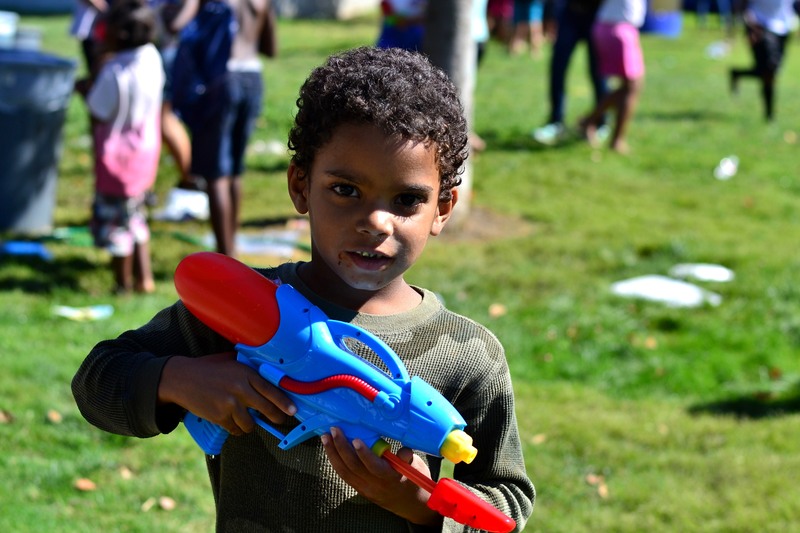 Called Hope Central Watts, the ministry provides games for kids in the Watts projects, one of Los Angeles’ most impoverished communities. A few LA police officers and firemen came out, and at one point firemen brought out a firetruck and sprayed kids with the hose since it was hot. This kid, Jeremiah, was really nice. He was just having fun with this squirt gun that police officers handed out. He probably doesn’t have much, so this simple gift was a real blessing to him. People from our group meeting some kids from Watts with squirt guns. The boundaries for the squirt gun fight.